This morning, tour Vancouver, including the waterfront, Chinatown, and Stanley Park with its old-growth evergreen forests and totem poles. Enjoy free time to explore this vibrant city on your own before dinner at a local restaurant. Then transfer to the train station for your departure on the CANADIAN. See Canada's pristine landscape of frozen lakes, snowcapped mountains, and beautiful blue skies. Keep your eyes open for wildlife such as moose, elk, and eagles. Spend the day in comfort on the train, with delicious meals and spectacular views from the dome car. Wake up this morning to the beautiful scenery of the Canadian Rockies. Arrive in Jasper, for sightseeing followed by free time to explore the charming mountain village. Then, onto the historic Fairmont Jasper Park Lodge, where you will spend the next two nights, for a culinary demonstration and lunch. A day to explore all the wonders of JASPER NATIONAL PARK. Enjoy your choice of activities this afternoon: take an ICE WALK through Maligne Canyon or a guided WILDLIFE SAFARI. During your free time, you may want to go cross-country skiing, try snowshoeing, or browse the shops in downtown Jasper. Indoors, you can choose from spa treatments, gourmet dining, or just relaxing by the fire with a warm drink. Today, we travel to the beautiful shores of Lake Louise and the majestic Fairmont Chateau Lake Louise. Enjoy this winter wonderland on a HORSE-DRAWN SLEIGH RIDE. Take in the fresh air and marvel at the incredible mountain scenery with blankets to keep you warm and comfortable. Other winter activities available include dogsledding, snowshoeing, snowmobile tours, or ice-skating. This morning is at leisure to relax and recharge or explore the elegant alpine paradise. 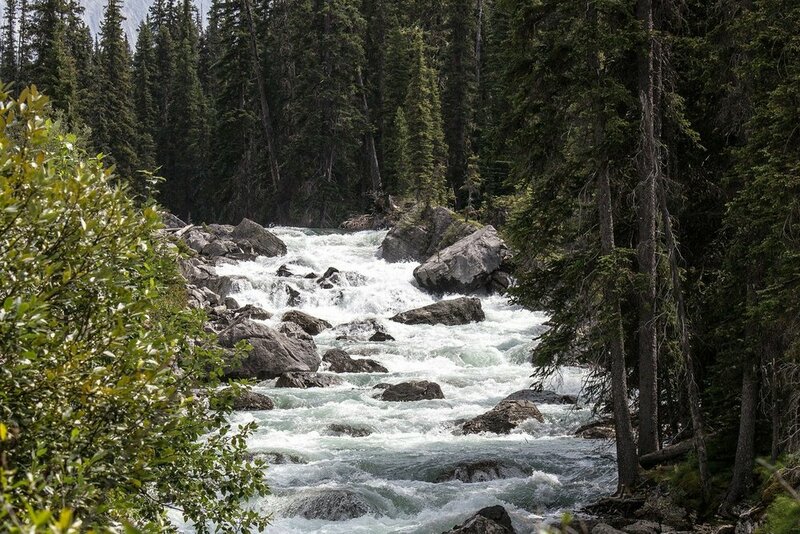 Later, travel to BANFF NATIONAL PARK, where sightseeing includes a visit to Bow Falls. The remainder of the day is yours to explore on your own. Your Tour Director will have suggestions for additional sightseeing, shopping, and dining. Your home for the next two nights is the Fairmont Banff Springs Hotel. Spend a full free day to explore Banff on your own. You may wish to stroll Banff Avenue visiting shops and galleries, partake in Afternoon Tea at the Fairmont Banff Springs Hotel, or learn the Canadian sport of curling. Other options include visiting one of the town’s museums, taking a soak in the natural hot springs, enjoying a massage, or striking up a conversation with a local at one of the town’s coffee shops. Tonight, your Tour Director hosts drinks by the fire, followed by a festive farewell dinner, the perfect ending to your Canadian Rockies winter adventure. Your winter adventure in the Canadian Rockies comes to a close today as you arrive at Calgary International Airport for your flight home. Flights should be scheduled after 1 pm. This awesome 8 Day Tour from Vancouver to Calgary starts at only $2,848.00 per person! We would love to help you plan this fantastic journey!! Contact our expert travel consultants today for help planning! Don’t have an Upon A Star consultant yet? Click HERE!